Ants are fascinating insects. E.O. 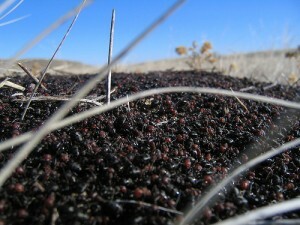 Wilson and Bert Hölldobler, in their 1991 Pulitzer Winning book The Ants, described an ant colony as a superogranism – a vast social network. The ants in the colony communicate with each other by following chemical trails left by other ants. What do ants have to do with social networks on the Web? Every day, hundreds of new articles are written about ways that businesses and individuals can leverage Twitter, Facebook, YouTube, MySpace, and other social networks. There’s a common theme to most of these articles – follow “best practices”, do what the other successful companies are doing – and you’ll succeed too. According to an August 2008 study conducted by Internet Retailer and Vovici, nearly one third of all responding companies (U.S. online retailers) maintained a fan page on Facebook . 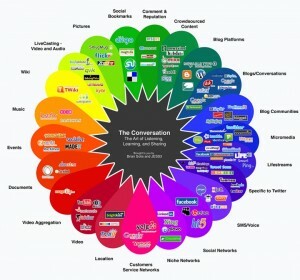 Facebook is only one of many social networks, as the “Conversation Prism” graphic shows (below). 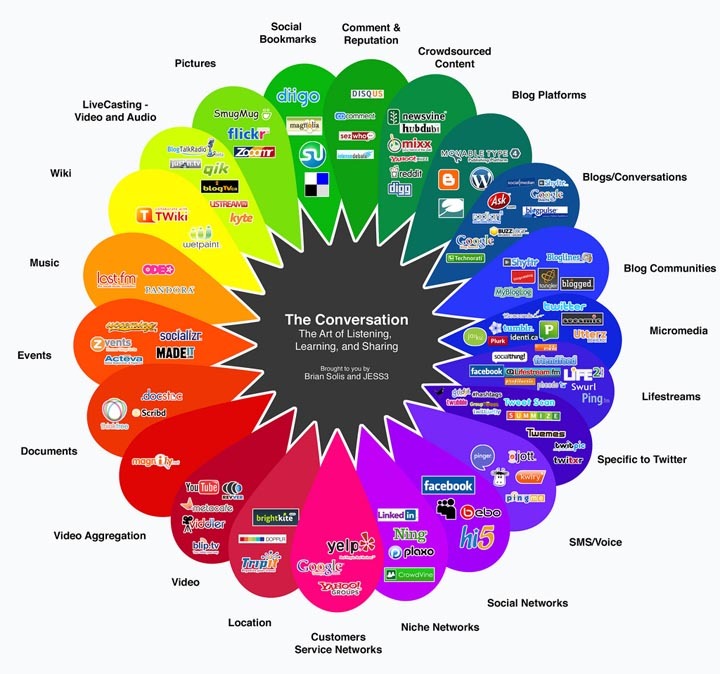 Here’s what puzzles me: many marketers assume that one-size-fits-all when marketing on social networks. The default strategy for Facebook: build widgets, start brand pages and fan groups. The strategy for Twitter: customer service. And of course, let’s not forget viral videos on YouTube – the holy grail for inexpensive viral marketing. From one perspective, the strategy for success on social networks is not vastly different from the chemical trails that ants leave to guide other ants. In the online world, companies can leave invisible “trails” by connecting users with each other and by engaging users in a dialogue. But this perspective fundamentally ignores the fact that people aren’t “programmed” to follow such “chemical trails” in the same way that ants follow the chemical trail left by other ants. I’m starting to question the one-size-fits-all mentality. Top ten lists of all types – top 10 ways to leverage Twitter, top 10 suggestions for Facebook fan pages, etc. – dominate the conversation these days. But for every individual or company that has successfully marketed on social networks, countless others fall flat on their faces – even when supported by vast marketing budgets and expensive consultants. Why? There are vast opportunities on social networks. They don’t all revolve around widgets, fan pages and viral videos. If you’re developing strategies to market on social networks, consider how you can differentiate yourself from others, not just in form, but in substance. Bring something new to the conversation. Find a different way to engage your customers. Develop a unique voice. Challenge yourself and your consultants to build new “chemical trails” and not to merely recycle those left by others. Most importantly, don’t feel compelled to do something merely because others are doing it.